Choose any one option from 'Start with New Label Format' or 'Open with Existing Label Format'. 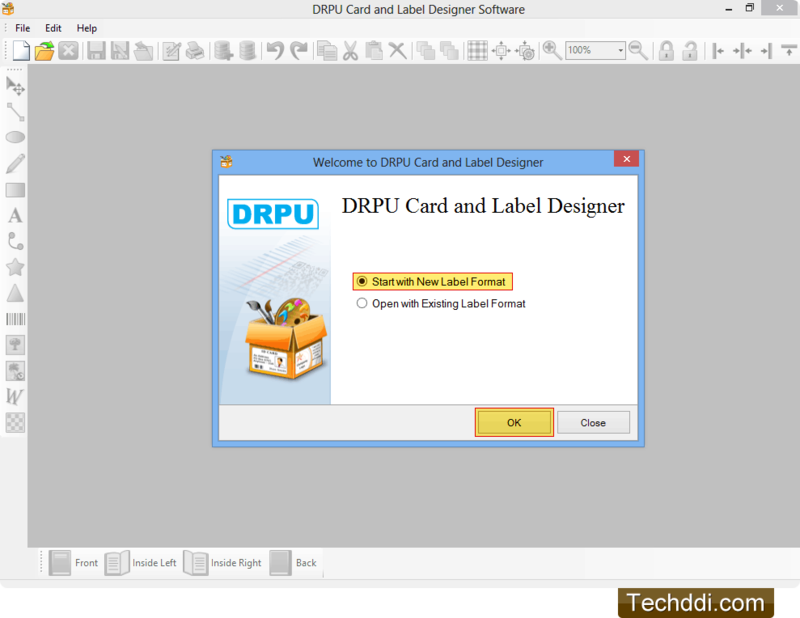 Enter Label Name, Size and choose Label shape. Click 'Finish' button to continue. Add text on card using Text Properties. Adjust general settings of text. In Font Settings tab, select font family, font style, font size and attribute of text. 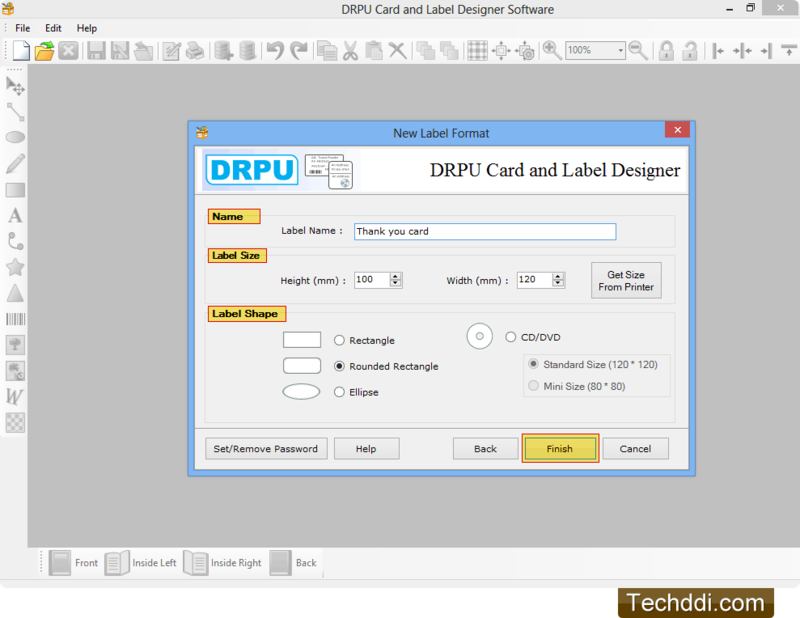 Design card according to your choice using various card designing objects including line, ellipse, pencil, arc, text, barcode, watermark, images etc. 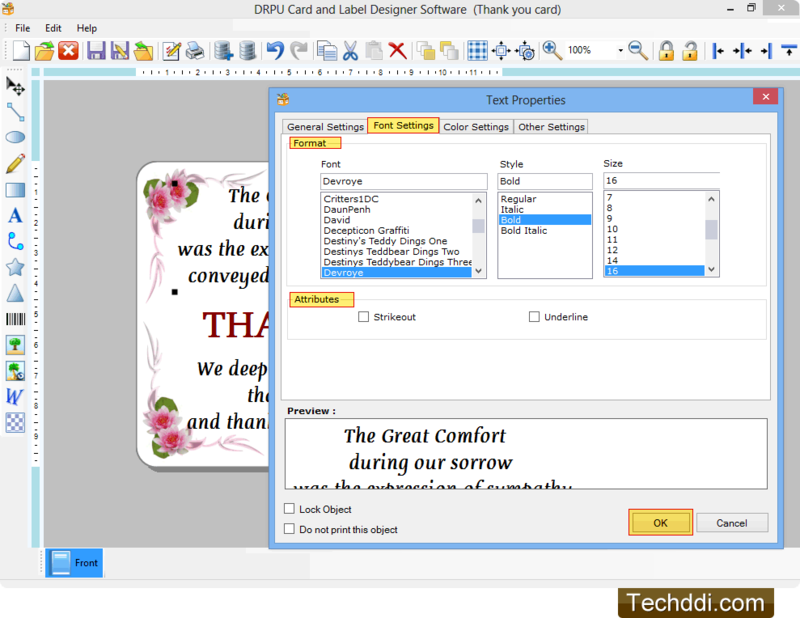 To print designed card, adjust various print properties and click on Print Preview button to see the print preview of card. 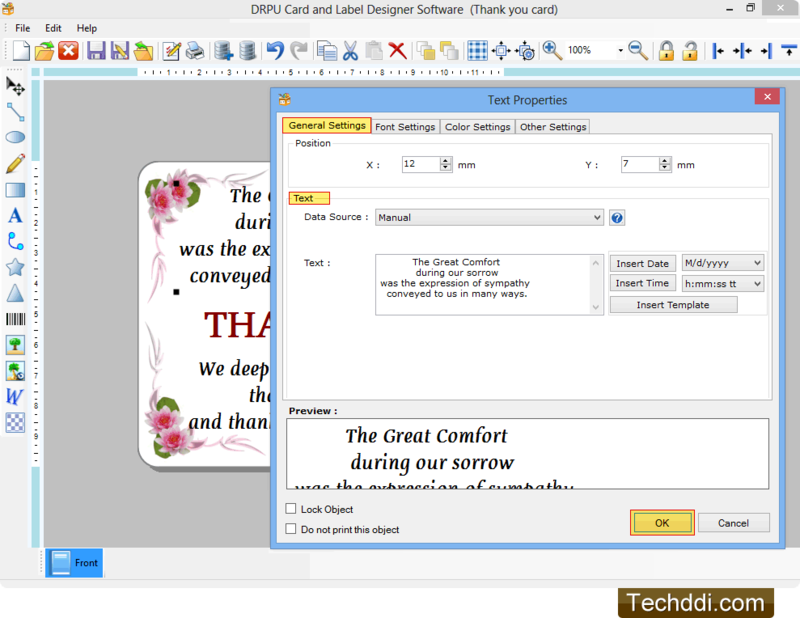 Click on Print button to print cards.